Seeds from sacks gone by are much less likely to produce the type of weed worthy of a toke in the first place. You can still plant them – and they may even produce female buds – but they’re significantly more likely to produce seedy weed and turn neighboring plants into hermies, too. Nevertheless, if you want to plant those (or any other cannabis seed you pick up), consider the following characteristics to ensure they are high quality. Appearance: Some seeds are obviously bunk — you know the ones: those shriveled little white ones that are barely more than a shell and dust – but others may not be so obvious. Though we’re definitely fans of the whole ‘plant-‘em-if-you-got-‘em’ mentality, if you’re paying hard-earned cash for marijuana seeds, make sure they look the part. Quality cannabis seeds should be a deep brown color with dark veining and a glossy finish, free of cracks or damage, and firm under moderate pressure. Seeds with these characteristics have a high germination rate but still may result in male, non-flowering cannabis plants. Source: Established cannabis breeders have a reputation to uphold. If you purchase cannabis seeds from a quality breeder, you’re pretty much guaranteed to have a positive experience. Breeders know their seeds intimately (unlike your bro who found a few extra seeds in his last crop) and can tell you exactly what to expect during the grow cycle — albeit with some variation depending on phenotype — because they literally absorb themselves into learning about them. Reviews: Anyone can tout their own expertise, but public perception of a company’s credibility will always speak the truth. If you want to know whether your cannabis seed distributor is as top-notch as he insists, check the online reviews for a little insight. Facebook can be an excellent place to find product/company reviews, as are Yelp and online grow forums. Collecting seeds from peppers or cantaloupe is easy enough – you literally just scoop them out when preparing them – but quality cannabis seeds are more difficult to produce. Breeders work meticulously with their favorite strains to bring out the best characteristics of the plant while breeding out the less desirable ones. The best breeders will also cultivate their plants numerous times to learn about their growth patterns and share them with their customers. Not only that, breeders will know the optimum time to harvest seeds which improves the likelihood of germination, and will store them correctly to ward against decomposition over time. The average price of regular cannabis seeds from a breeder ranges between $5 – $20 per seed. Some breeders take additional steps to create feminized seeds, or seeds that have a 95 percent likelihood of producing female plants (as opposed to about a 60 percent chance of regular seeds being female). The process is timely and precise, but well worth the wait and the additional cost, especially for those dealing with limited space or plant counts. Feminized cannabis seeds are usually about twice the price of regular seeds. Cannabis seeds may be more expensive than your average garden vegetable, but their pay-off can be continuous if you save clones during a vegetative pruning. Clone machines work well to keep stems hydrated and oxygenated – both of which are an important part of the cloning process – while other more cost-effective supplies like rock wool cubes and cloning gel work well, too. We suggest avoiding introducing outside clones into your indoor grow, however, as they could bring contaminants along with them. Clones should only be taken from indoor plants already contained within your grow space. You’ve invested a lot into your indoor cannabis grow; make sure the seeds you put in the soil match your grow space game. Before purchasing marijuana seeds online, ensure they are high quality cannabis seeds produced by experienced growers like us. Contact GreenPoint Seeds to learn more. This entry was posted in News and tagged best seeds, cannabis, cannabis seeds, quality cannabis seeds, types of seeds. Two methods I used for best results were using a store bought germinating chamber, and the cheap but effective method of 24 hour soak in filtered water, followed by sandwiching seeds between moist paper towels on a plate, capped with another plate for darkness. Expect a small sprout to result in as little as 24 hours or up to a week. Perfect results everytime with both ways you stated. Cant go wrong either way. A wet paper towel never fails just about 99% of ppl will swear by this method! After that I’d suggest either rapid rioters or going straight into some seedling potting soil! Greenpoint’s seeds are of the highest quality. Fresh seeds with a higher than average germination rate. New to seed buying and started out with Greenpoint, Herbies, Nirvana, Fatman, USA Seedbank, and an Oregon dispensary offering. I was loathe to buy seeds, especially at a price, but everything I have read and heard about growing from seed suggested it all starts with genetics. So far, I believe this. My Greenpoint seeds germinated within 30 hours, had taproots within 48, seed leaves within another 30 and this rapid growth potential has continued. This isn’t strain dependent as 3 different Greenpoint stains have exhibited this. In comparison, my next strongest plants from Nirvana are growing at half the speed and vigor, while the others are still lagging far behind in the race, struggling to get to 1 inch/ 2.54 centimeter. My Greenpoint seeds are three times that size averaging 12 leaves per little plant, suggesting the truth of this article and that this company takes it claim seriously. Looking forward to the next few weeks! Yes I agree I actually found gps from a forum that I’m in heard ppl talking and popped over here and I fell in love! Gu has really done something special here! Once a person starts growing from seed instead of watered down clone genetics you will never look back! The seed vigor compared to older clone genetics is not even comparable. No more stretched out plants with limited bud sites, internode spacing is tight, save for the landrace Sativas. There is no reason to go outside the United States for seed purchases anymore. The USA breeders are doing a great job of bringing back the genetics that were once only available overseas or in clone only form. Greenpoint is one of those breeders and they have top notch clone only stains they are working with that you would have a hard time tracking down on your own. Thanks Gu for bringing these to my garden! Great article here! It is definitely harder for new growers to know where to turn to and who they can trust to spend their hard earned dollars towards some quality seeds and not end up with some suitable. That is why I come here I know I can trust every single pack of seeds I purchase and plant from here. I always say you get what you pay for and here on Greenpoint Seeds you get the highest quality at the very lowest prices around! You can not beat the prices from here, you cant beat the quality! To say you get what you pay for here is an understatement. The prices are already unbeatable to begin with and then you get reverse auctions up all the time. Top shelf quality genetics at the absolute lowest prices on the market. You can’t go wrong with any strain on here. I have stacks of seeds I still need to grow but I keep coming back and buying more. I don’t ever want to miss a single drop from Green Point Seeds. This is my one go to shop for the quality herb I want to grow. Are you sure you fully completed the check out process! One thing this company is known for is its fast delevery and amazing service! Can’t wait to get started with the GU strains! 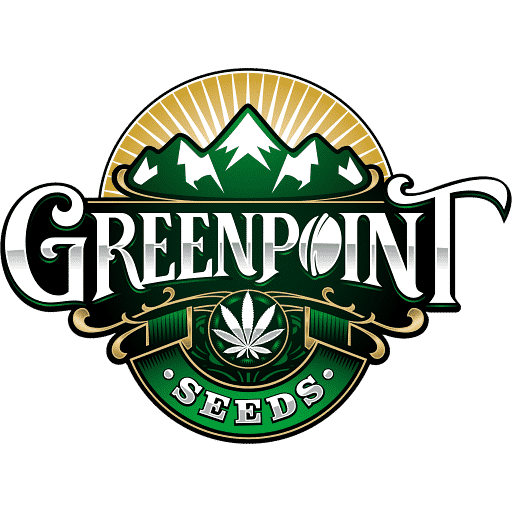 I buy only Greenpoint seeds and high satisfaction. This is the place to get that FIRE that you’re looking for, at a decent price! I’ve tried several different seed Banks and now I can’t seem to remember why, once I found Greenpoint I haven’t had the need to shop outside of the states, plus the shipping speed can’t be beat! Yes there are a lot of choices. But that’s not a bad thing. I suggest focusing on the moms that interest you the most, and trying to narrow it down that way. The stardawg male will add nice things to which ever mother cut you choose. I recommend the jelly pie it’s an easy one to grow and absolutely beautiful! And the pheno hunt is the hardest thing about that strain! There is a lot that goes into not only seed production, but in breading cannabis as well. I personally take my hat of and hold it respectfully in my hands when I speak of the breeders that have kept this remarkable plant through the last few decades. I have met a few, and not some are certainly more pleasant than others, but that’s just the nature of people. Think about what it takes to grow and select from literally hundreds of plants just from one lineage, then back crossing very carefully selected males and females just to get a fairly stable F1. If you have no idea but would like to, I suggest reading, “The Marijuana Breeders Bible,” by Greg Green. Be warned, however, it is easier to buy gold than it is to mine it! This is NOT a book for the faint of heart. Even if you are just curious, it will give you a healthy respect for how hard breeders have worked, and for decades, many have risked a great deal to bring us to where we are today. The other side of seed quality is the idea that, a female plant grown to produce strong, viable seed needs an entirely different balance of nutrients as she is not being grown to simply produce large amounts of flower material, but to produce these very dense and therefore nutrient-hungry seeds, and the nutrients needed to do so are quite different from what is needed to build stalks, leaves and flowers. Given the reviews, I have to wonder if Gu~ has developed some very special soil and environmental strategies to provide for these specific needs. A seed has everything it needs not only to crack and make a tap root, but to take it past those “seed leaves” and well into the production of real leaves capable to photosynthesis, and it they were poorly produced, you get the types of seeds that may start out okay, but struggle to make it past the seedling stage and become mature enough to create all the food they need on their own. A seed that has been produced under optimum conditions will explode through this seedling stage and be well on it’s way before all of the nutrients in the cotyledons (seed leaves) are used up. This is as it should be in quality seed stock, and what we see reviewers reporting again and again here at Green Point. Stress is a huge factor in producing quality plants., and cannabis is not real fond of certain types of stress. A good stiff breeze is good for building strong stems, but if the poor seedling didn’t have enough food to get it strong in the first place and starts it’s life of stressed out because the seed was not nourished properly when it was produced, the the resultant seedling is going to struggle. Often times the plants produce by these poorly produced seeds stocks never really show what the parent plants were capable of because they didn’t have enough of their own nutrient to start off, and never really recover from that. I have not personally grown any GPS genetics as yet, but I have grown enough to know what’s hot, and what is definitely not. There are many strain-specific reviews that aren’t seen as being “helpful” by quite a few people, but on the other hand, a review that reports “only” that “8 of 11 cracked in under 24 hours, and the rest in less than 48 hours, and all had a strong tap root in less than 72 hours,” IS in fact very relevant. Thank you for the recomendation of The Marijuana Breeders Bible,” by Greg Green. This was a very good book, I still have to finish it. Some really great info thank you! And I’ll have to check out this bible I want to breed one day as well but I’m still a few years from that! Very informative, posts like these are helpful to everyone. Cannot say enough good things about GPS and Gu personally. Top notch genetics, excellent seed quality and shipping is next to none. I have ran several GPS strains, and absolutely love them all. Eagle scout and Cookies and Chem are a couple of favorites, and we are using both in our in-house breeding program. We are also running the limited S1 releases Gu put out a couple of months back, which included some hard to get Symbiotic genetics. Alaska’s regulated market loves GPS, and hopefully Cannabis Cup judges are going to love them as well this August. What would you say is the best tasting strain you have grown out? I’m all about taste and been hunting for the best! Yes I do t really really care for sativas just bc of the flowing time but soon I plan to expand and once I do I will start doing some sativas! Yes I have 2 jelly pie phenos that wereally done at day 50 but I chopped them at 55 I wanted to let them go longer but there was so much amber I couldn’t but have other phenos still going! I just popped my first GP seeds. I always just soaked them for 24 hrs and stick them in dirt. Very seldom do I have any germination issues. I did six seeds 2ea Tomahawk, Eagle Scout, and Jelly Pie. All of them came up and are doing great. I drop beans in distilled water, and once they sink I put them 1/4″ deep in a basic mix of 2 parts plain Promos HP and 1 part 50/50 vermiculite/petite (by volume) that is already potted up and watered. In the past when doing the paper towel thing, I had too many fail because of tap root damage. I get great results using the “direct to growing medium” method described above, and so far my GPS gear has had a 100% germ rate using this method. I have tried that before but not very good luck unless I used a seedling potting soil! With a Lil of my living soil at the bottom! Has anyone heard about a way to tell a male and female cannabis seed just by looking at it? Since it doesn’t allow pictures, I will attempt to tell you the differences of a male seed and female. one end of a cannabis seed is rounded while the other has shoulders that roll off at extreme and have like a little volcano sitting on the end. In the center of the volcano is a hole of sorts, if its irregular and has points leading off in different directions its a male. A female seed is perfectly round in her indenture. I found this chart, not sure if it is accurate or not. I was not able to attach the pic, sorry! What flavors are coming out of the cackleberry? Paper towel always works. Dont know why anyone tries anything different.